The US Food and Drug Administration proposed new e-cigarette guidelines to tighten restrictions on the sale of fruity, minty or sweet tobacco flavors, it announced Wednesday. 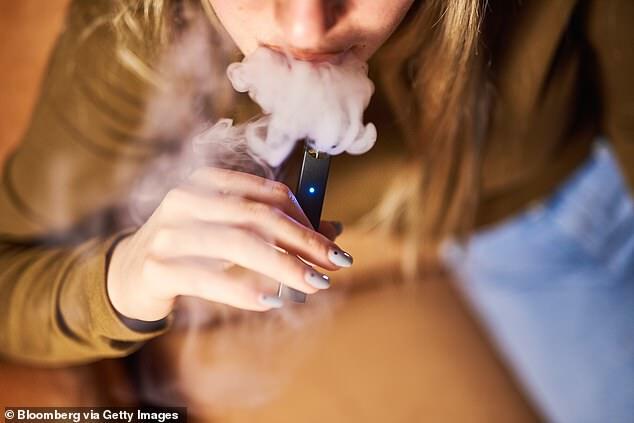 E-cigarettes and the teen vaping ‘epidemic’ have been the prime target for Dr Scott Gottlieb during his time as the Food and Drug Administration’s Commissioner, and the proposed guidelines come just days after he announced he will be stepping down next month. Backed by research that suggests that sweet flavors make e-cigs more appealing to children and teens – among whom vaping rate shave surged in recent years – the proposed guidelines aim to limit youth access to the nicotine products. Dr Gottlieb and the agency aim to ban the sale of some e-cig flavors altogether while requiring others to get pre-approval from the FDA before hitting the shelves, according to the proposal. Between 2017 and 2018, the US saw a startling rise in teen vaping. By last year, 3.6 million youth and teens said that they were current e-cigarette users – a 1.5 million person increase over the prior year. First marketed as cessation aids, e-cigarettes were quickly picked up by youth and teenagers. The FDA has particularly gone after Juul, whose devices have several angles of appeal to the younger generation. Its slim, sleek device closely resembles a USB drive and emits only odorless vapor, making vaping easy to conceal from adults. Juul also originally made their e-liquids in tempting, sweet flavors like mango, creme and cucumber. And Juul’s slick marketing campaign featuring young, attractive models who looked like they could themselves be teenagers added to the product’s cache, and theFDA demanded that Juul show evidence that it was shifting the target of its ads. Though Juul has borne the brunt of the FDA’s wrath, it is by no means the company guilty of fueling teen vaping. Some have even been critical of the FDA itself for failing to interfere with and regulate e-cigarettes. In 2016, the agency announced that it would not review e-cigarette products before they were brought to the market – at least not until 2022. But today, the FDA warning e-cig companies that it can and will examine their products. ‘We’re putting all manufacturers and retailers on notice: you may be subject to FDA enforcement for selling certain flavored [electronic cigarette] products without authorization,’ Dr Gottlieb said in a statement. The agency has bumped up the deadline for e-cig and e-liquid manufacturers to submit applications to get their flavored products approved by a year. Applications now must be in by August 8, 2021. In the wake of recent research on the widespread use of sweet mini-cigars among teens and youth – especially young people of color – the FDA tacked measures to restrict the sale of these products as well, creating a new guidelines requiring flavored cigars to undergo similar approval processes or be pulled from shelves. But as far as tobacco- and menthol- flavored e-cigs are concerned, the proposal does not change much. The FDA will continue to apply its previous guidance to these products, which it views as posing less risk to children and teens. ‘Nobody wants to see children becoming addicted to nicotine,’ Gottlieb said in his statement.